Today, the Moon from Pisces forms a hexagon with Saturn in Capricorn and a triangle with the Retrograde Venus in Scorpio. 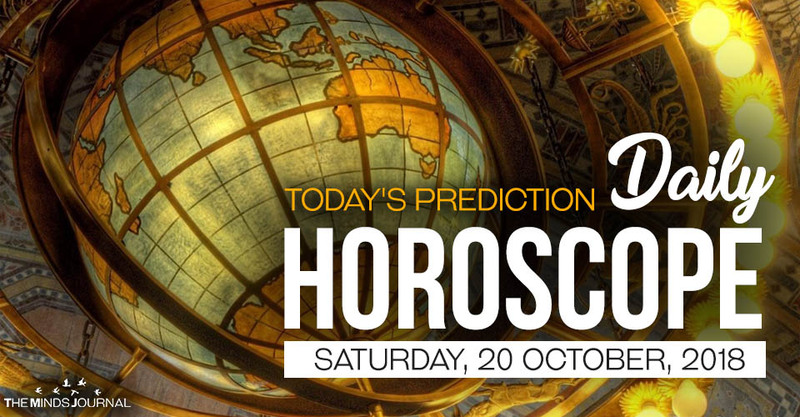 Pisces, Scorpio, and Capricorn will be the luckiest zodiacs of the day. Your spiritual and magical powers are quite strong, today. Healing and self-healing powers, too. Also, it’s a good day for career matters. Therefore, those working as healers, psychics and the like can be extra lucky. This is a good day for expanding your social circle, as well as for taking care of it, especially if you have been neglecting it. Finding potential lovers, business partners and people like those is also very possible. All jobs and all work matters receive beneficial influences by the stars. Jobs of beauty and health receive the most. Even more, if you are searching for such a job, this is a very good day to find one. Money does need some attention, but it’s good, too. Love life seems quite happy and pleasant today. If you are in a long distance relationship your other half may come to visit you, you may go visit them, or in some other way, you’ll come closer. For those in a marriage or a steady relationship, this is a very good day for healing problems in your relationship and making it stronger if there aren’t any serious such problems. This can become a very successful day work wise. It’s very good if you have a big load of work to do, or you are trying to achieve a significant success there. Also, it’s a good day for health issues. This, though, can mean that you may get forced to see a health issue you weren’t aware of, or you weren’t paying enough attention to.